In our 2010 review of Dearly Beloved's Make It Bleed, we noted that the band were "taking a big step forward on all fronts." 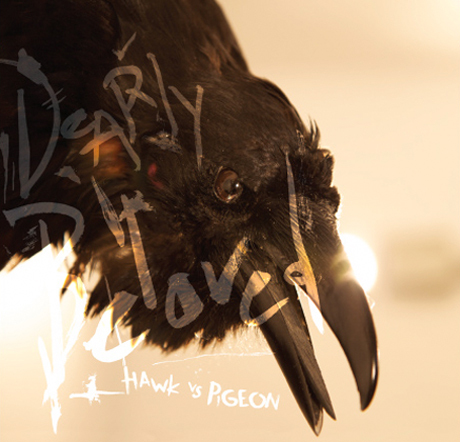 The Toronto-based indie alt-rock outfit are now looking to keep that momentum going with their latest album, Hawk vs Pigeon, which they will promote with a Canadian tour with Die Mannequin. The curiously named new LP was recorded at Rancho De La Luna studio in Joshua Tree, CA and at the band's own Phoebe Street Studios. It will be released via eOne Music on May 22. According to the band's Rob Higgins, Brendan Canning of Broken Social Scene/Cookie Duster plays guitar and piano on the album opener "Miles Around," while other guests include Sloan's Patrick Pentland and Eagles of Death Metal/Queens of the Stone Age contributor Dave Catching. Scroll past the tracklist to see the schedule for Dearly Beloved's upcoming Canadian tour with Die Mannequin. The outing finds the bands travelling from Ontario all the way to the West Coast and back.